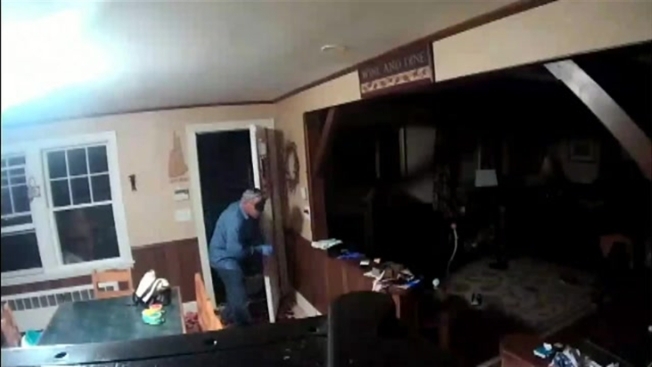 Man Breaks into Home in Allenstown, New Hampshire. Authorities in New Hampshire are asking for the public's help with finding a "Lone Ranger" burglar. Allenstown police say a resident called 911 around 2 a.m. on Monday after her security system alerted her to an open door. She reviewed the footage, which showed a man, about 40-60 years old, wearing a mask and blue gloves entering her home, taking a purse and then leaving through the same open door. The resident called police, and eventually officers, who were already in the area, found the stolen items, but not the burglar. Anyone with information is asked to call Allenstown police at 603-485-9500.